This pack mounts to the built-in handle of a canoe, but could mount in the front or back of the canoe. It is made of 1000 denier Nylon Cordura and is water resistant. 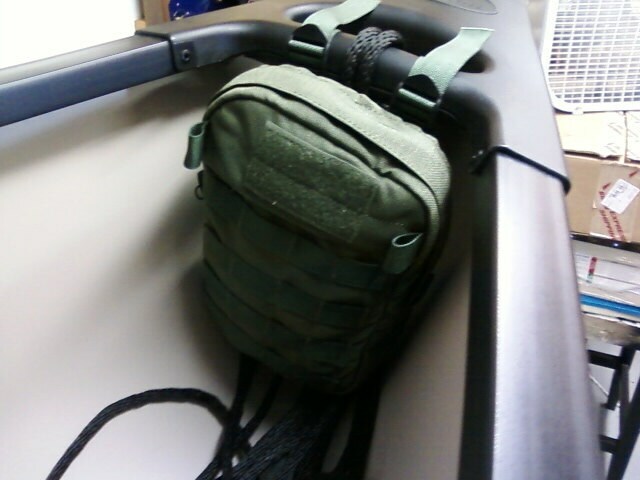 It has MOLLE/PALS webbing attached to mount other pouches (Not included). It holds anything necessary for survival should the need arise while out canoeing. Items that should be a bow pack: fishing kit, space blanket, rations, water, flares, strobe light, fire kit, first aid kit, tarp stakes, knife, 550 cord, etc. The list goes on and on. Price only includes Bow Pack. 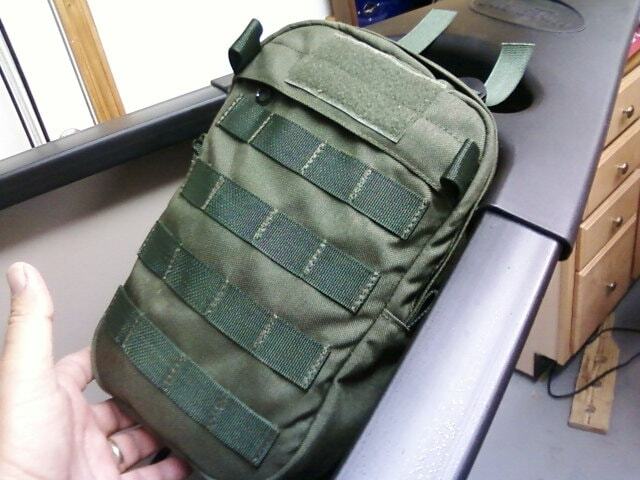 Pack comes in all of our standard colors: Olive Drab, Khaki, Tan, and Now available in waxed canvas, OD color.